To all hard working people of the Philippines, this news could make your day Good! Malacanang announced the declaration of the October 28, Monday as special non-working holiday. 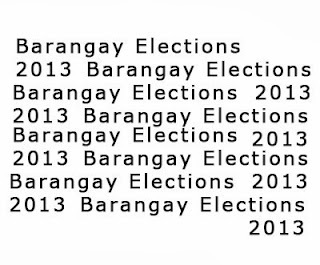 October 28 is the synchronized Barangay Elections all over the Philippines. Sangguniang Kabataan elections will be postponed if President Benigno Aquino III sign the bill. For the meantime, please bookmark this page now or visit this site more often for you to be updated. You may also share this post to your friends so they may know about declaration of Special Non-working Holiday on October 28, 2013. Comments or suggestions about "October 28, Monday declared Special Non-working Holiday" is important to us, you may share it by using the comment box below.